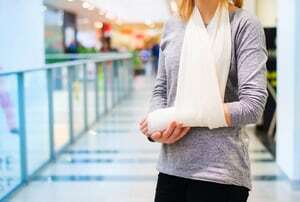 It isn’t the first thing you think of but there are many ways you can be injured at the Sawgrass Mills Mall in Sunrise. If you were hurt in anyway at the Sawgrass Mall, then you owe it to yourself and your family to find out if someone or some corporation is responsible for your damages. 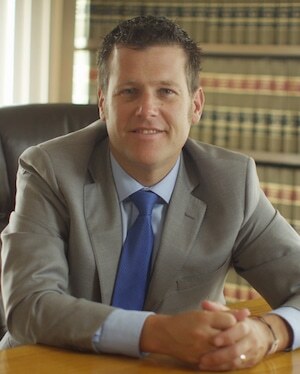 The Sawgrass Mills Mall accident attorneys at the Wolfson Law Firm can help. We offer free consultations or appointments at any of our offices in Fort Lauderdale, Miami or West Palm Beach. Just call us toll-free 1-855-982-2067 or at 305-285-1115. Sawgrass Mills is a mall located at 12801 W Sunrise Boulevard, in Sunrise, Florida. Opened in the beginning of October in 1990, it slowly grew to become just shy of the top ten largest malls in the United States. It is however, the second largest in Florida, as well as the largest when it comes to single story malls in the United States. The mall is conveniently located near the Fort Lauderdale-Hollywood International Airport, and is reasonably close to the Miami International Airport, allowing it to have many tourists come to spend money there. In fact, Sawgrass is located near the intersection of I-595; I-75; and the Sawgrass Expressway. When currency exchange rates favor other countries, it produces a surge of international shoppers at the Sawgrass Mills Mall. Slip and fall accidents in any of the stores at Sawgrass Mills can cause serious and tragic injuries. Shoppers, customers and visitors can be hurt through no fault of their own. That is where our Sawgrass Mills Mall Injury Lawyers of Broward at the Wolfson Law Firm can help you and your loved ones. We have served and helped personal injury victims in South Florida since 1963 and we can help you too. Drunk Drivers and distracted drivers. Texting is a becoming an epidemic in South Florida and distracted drivers can cause injuries and deaths. Sawgrass Mills Mall has many restaurants and eating establishment that serve alcohol. Thus, the possibility of drunk driving accidents in the parking lots and surrounding streets and highways is significant. Parking lot accident at malls are common. Pedestrian injuries can happen where there is poor visibility and lighting. Drivers can be careless and rude. Our Sunrise Car Accident Attorneys can investigate and identify all potential defendants and pursue a financial recovery for you. Sawgrass Mills Mall Premises Liability Claims can include boxes and merchandise falling on shoppers and customers. These claims may also involve debris and garbage from shelves. Structural failures including tiles in the roofs, floors or stairs that are worn out or broken can cause serious and debilitating injuries. Restroom floors that are slippery and wet from broken plumbing or the improper maintenance. In many cases our Sawgrass Mills Mall accident attorneys ultimately determine that more than one person or corporation can be responsible for your injuries. But to make a proper determination of the responsible parties, a full investigation is often necessary. Our mall accident lawyers in Broward County work with experts in the course of the investigation. Many times, defendants will point at other potential defendants in litigation and our personal injury lawyers will add those defendants to the lawsuit. It is the goal of our mall injury litigation attorneys to make sure all possible defendants contribute to your settlement or jury verdict. If you were injured in a car accident, slip and fall or trip and fall at the Sawgrass Mills Mall, then call us as soon as possible. If you are unsure whether you actually have a case, then you should call us at (305) 285-1115 for your free consultation. Get answers you deserve from our Sawgrass Mills Mall Slip and Fall Lawyers. The Wolfson Law Firm in Miami has represented mall accident injury victims for more than 50 years. Our Spanish speaking clients can communicate directly with Jonah Wolfson who is a bilingual mall accident lawyer in Miami. He is available to speak with you whenever it is most convenient for you. Our mall accident lawyers proudly serve the communities and neighborhoods of South Florida including Sunrise, Weston, Plantation, Coral Springs, Fort Lauderdale, Pembroke Pines, Davie, Miramar, Miami, Aventura, West Palm Beach, Boca Raton and Miami Beach.